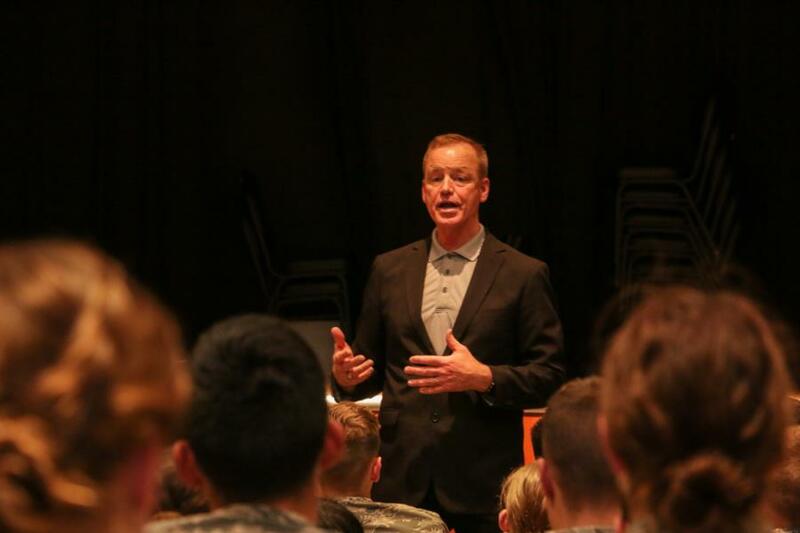 The Prep School got a visit from motivational speaker and combat veteran, Gregory Cheek. Greg served six years in the U.S. Air Force as an airman and sixteen years as an officer in the U.S. Army. 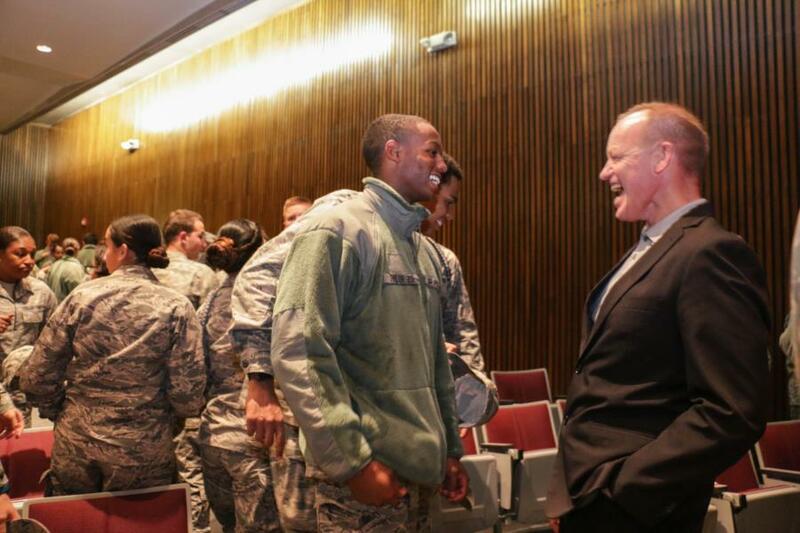 He spoke about a couple topics like his background, resiliency, the airmen’s creed, trust, goal setting, etc. Each topic related back to the Prep School and being a cadet candidate. One topic that stood out was Resiliency and the ability to bounce back. 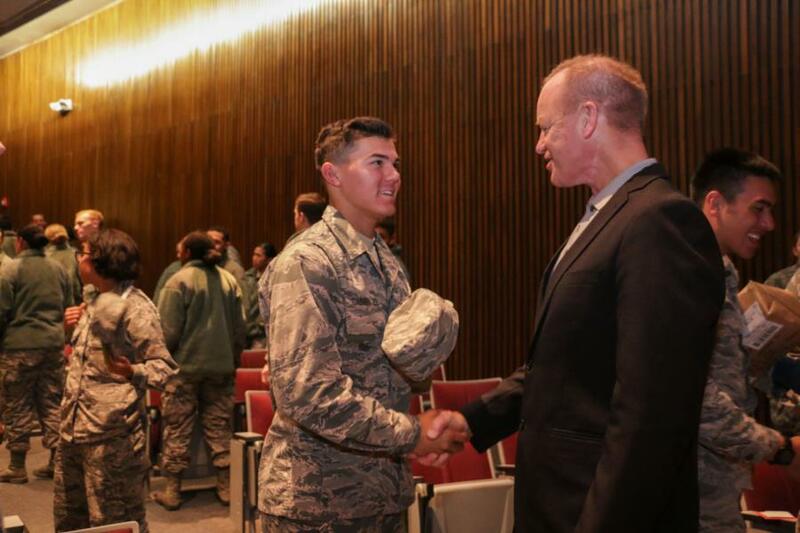 For most of the cadet candidates their journey has just begun and there will be many challenges ahead of them to reach their goal of getting an appointment to USAFA. One tool/technique Greg Cheek encourages the prep students to do is “hunt the good stuff.” This is a daily activity that is designed to boost positive emotions based around being thankful. 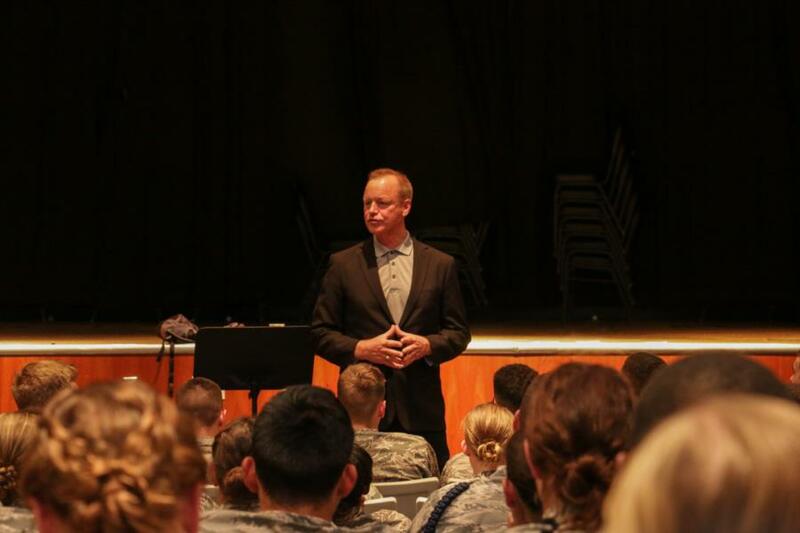 Greg Cheek encourages every cadet candidate to Hunt the Good Stuff by starting off their day by writing down three items they are thankful for. This activity takes on the approach of looking “the glass half full vs half empty”. 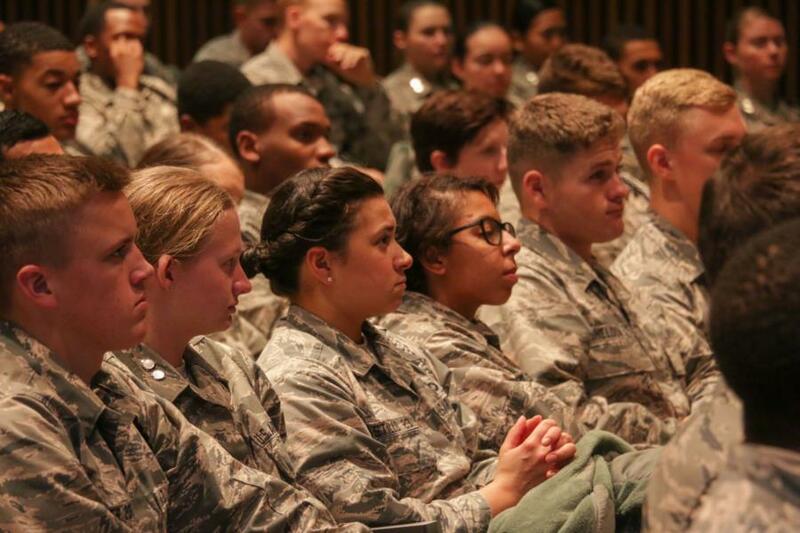 Another topic he discussed the Airmen’s creed. He highlight the section below. He emphasized “will”, “I will not falter and will not fail”. 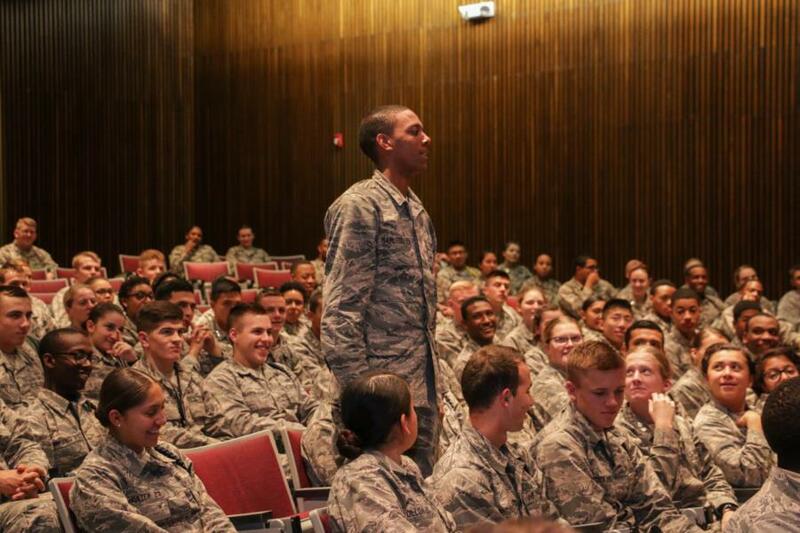 He stated being in the Air Force you don’t get the option of “maybe or I might not fail”, instead you will not fail because you are an airmen and your country depends on you. To view the rest of our photos go to: Classes - Prep School - Prep Life. Or click the link below.